Our selection of free recipe eCookbooks is the ultimate resource for cooking. Each eCookbook includes a collection of recipes on a theme. Whether it's one-pot meals, dessert recipes, chicken recipes, or Mr. Food's favorites, we have you covered. You can easily download and print out each eCookbook for easy reference while cooking. For help downloading our eCookbooks, see our help document here. Click here to check out the complete collection of the Mr. Food Test Kitchen's free eCookbooks! Don't forget about our free, diabetic-friendly eCookbooks from Everyday Diabetic Recipes, which you can find here! Let's Get Grilling! : 30 Easy Grill Recipes: (Recently Updated!) 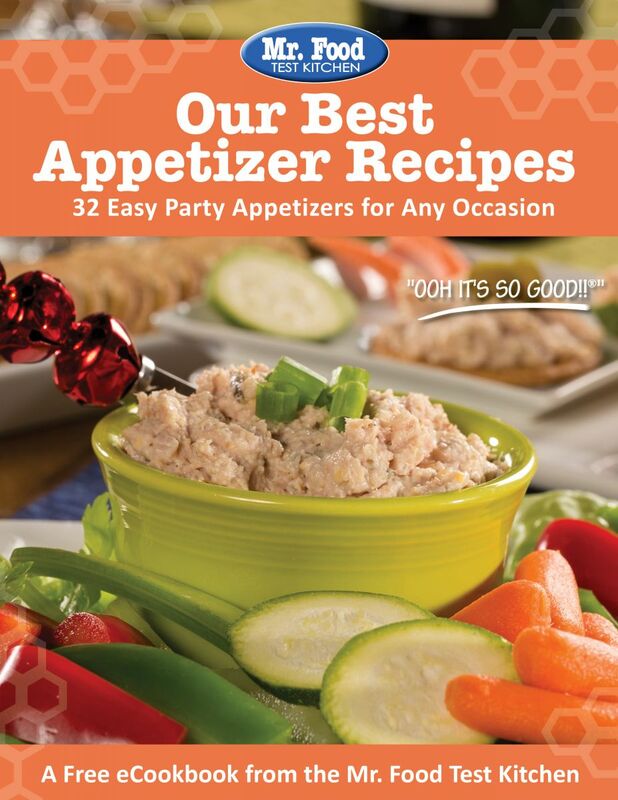 From appetizers to main dishes and more, this free eCookbook is full of easy grill recipes for your next cookout. We've even included plenty of grilled dessert recipes to make any party a hit! Blue Ribbon Casseroles: 25 Easy Casserole Recipes: (Recently Updated!) Whether you're looking for something to whip up on a busy weeknight or in need of a casserole that's worthy of a holiday spread, there's plenty to choose from! 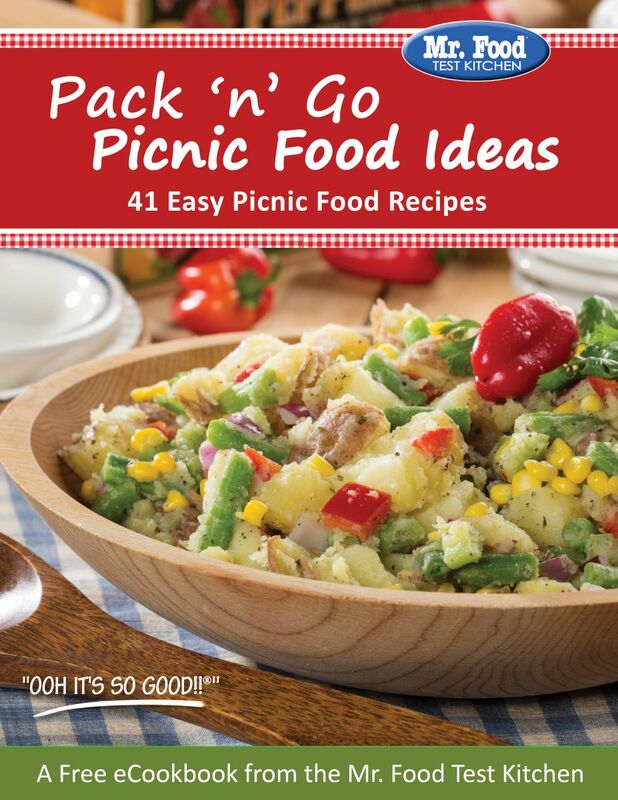 Pack 'n' Go Picnic Food Ideas: 41 Easy Picnic Food Recipes: Wanna plan a picnic? Then this is for you! From portable appetizers and main dishes to the best outdoor desserts, you'll be able to plan the perfect picnic menu. 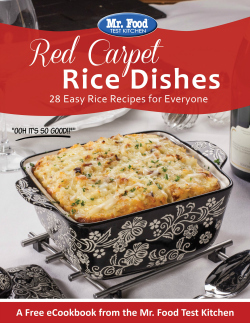 Red Carpet Rice Dishes: 28 Easy Rice Recipes for Everyone: If you’re bored of serving the same old plain rice to your family, then you’re in for a real treat. There’s nothing boring about the easy rice dishes in this eCookbook! 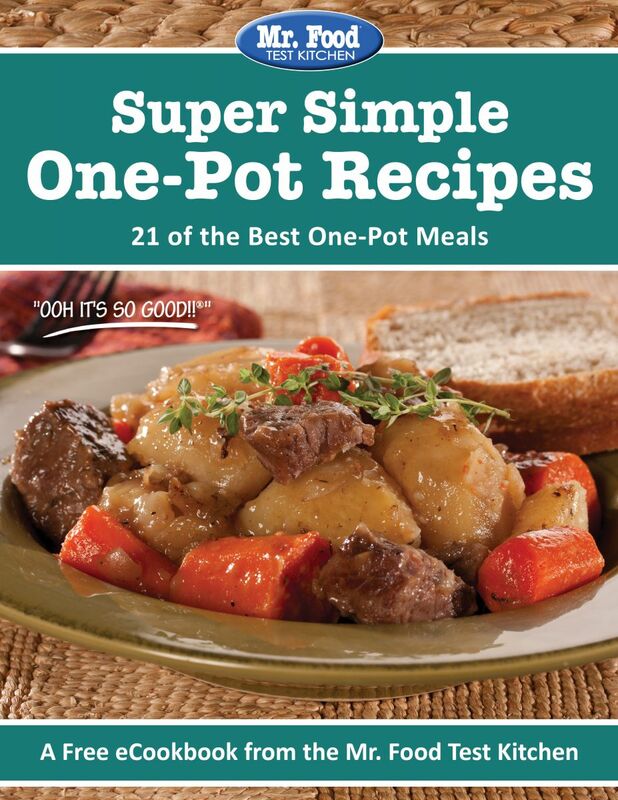 Super Simple One-Pot Recipes: 21 of the Best One-Pot Meals: These recipes are some of the simplest dinners you’ve ever seen, and what’s even better is they’re easy to clean up too! One-pots are great any night of the week! The Proof is in the Pudding: 20 Amazing Bread Pudding Recipes, Rice Pudding Recipes, & More! : Spoons at the ready, ladies and gents! From classic chocolate to fluffy bread pudding, we've got some of the best pudding recipes around! Our Best Appetizer Recipes: 32 Easy Party Appetizers for Any Occasion: Whether you're hosting your friends and family for the big game or you need the perfect dish to bring along to your holiday celebration, these are guaranteed to be some of the best party appetizers around! Cool Fuel for School: 30 Recipes for Kid-Friendly Meals: How do you keep kids healthy and happy while they’re in school? You serve ‘em up kid-friendly meals that’ll fuel their growing bodies, stimulate their minds, and bring smiles to their faces! 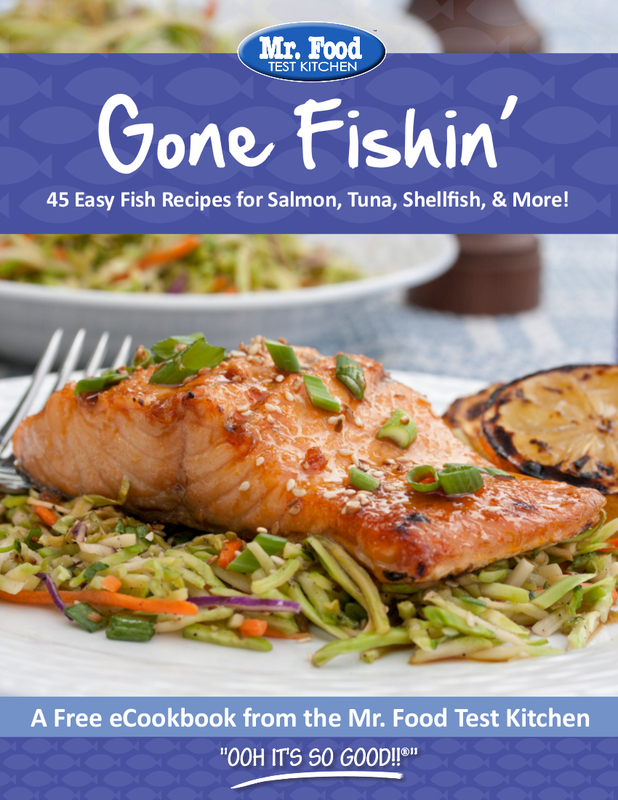 Gone Fishin': 45 Easy Fish Recipes for Salmon, Tuna, Shellfish, & More! : Whether you’ve got a fresh catch or you’ve simply stopped by the seafood counter at your local grocery store, you’re gonna love our collection of easy fish recipes! "Easy as Pie" Recipes: 40 Chocolate Pie Recipes, Fruit Pie Recipes, & More: Whether you're a fan of a classic apple pie or you're looking to try a decadent new dish, we know you'll go crazy over our collection of simple pie recipes! Be sure to check out all our free Mr. Food holiday eCookbooks here! Don't forget about our complete collection of Mr. Food's free eCookbooks which you can find here!